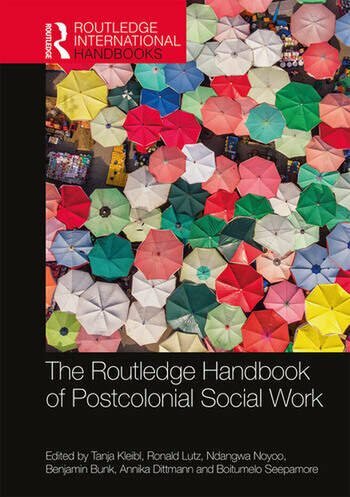 The Routledge Handbook of Postcolonial Social Work reflects on and dissects the challenging issues confronting social work practice and education globally in the post-colonial era. By analyzing how countries in the so called developing and developed world have navigated some of the inherited systems from the colonial era, it shows how they have used them to provide relevant social work methods which are also responsive to the needs of a post-colonial setting. This is an analytical and reflexive handbook that brings together different scholars from various parts of the world – both North and South – so as to distill ideas from scholars relating to ways that can advance social work of the South and critique social work of the North in so far as it is used as a template for social work approaches in post-colonial settings. It determines whether and how approaches, knowledge-bases and methods of social work have been indigenized and localized in the Global South in the post-colonial era. This handbook provides the reader with multiple new theoretical approaches and empirical experiences and creates a space of action for the most marginalized communities worldwide. It will be of interest to all social work students, researchers and practitioners. Tanja Kleibl is Professor of Social Work, Migration and Diversity at the University of Applied Sciences Würzburg-Schweinfurt (FHWS). Her research interest is in the area of political sociology, in particular postcolonial civil society, social movements, mobility and international development. Tanja has worked for various local and international NGOs and government agencies in Africa and beyond. She brings together 15 years of extensive practice and research experience in development cooperation and migration. Ronald Lutz; Dr. phil. Sociologist and Anthropologist, Professor at the Faculty of Applied Social Sciences at the Erfurt University of Applied Sciences since 1993, fields of interest: poverty, social politics, social development, international relations. Ndangwa Noyoo is an Associate Professor and Head of the Department of Social Development at the University of Cape Town. His research interests are: Social Policy, Comparative Social Policy in Africa, Social Development, Public Policy and Indigenous Knowledge Systems. He was a Post-Doctoral Fellow at the Fondation Maison des Sciences de l’Homme, Paris, France, 2005-06. Previously, he worked for the University of Johannesburg as an Associate Professor in the Department Social Work where he taught Social Policy and Planning, and Social Research Methods, among others. Before this, he worked for the South African government as a Senior Social Policy Specialist/Chief Director in the National Department of Social Development. Prior to this, he was a Senior Lecturer in the Department of Social Work at the University of the Witwatersrand. He has published widely in the areas of social policy, social development and related fields, especially, in the context of Africa and Southern Africa. Benjamin Bunk holds a PhD in educational science. After a one-year qualitative field research in Brazil (PUCRS) and as visiting scholar at the University of Helsinki, he is currently a Junior Fellow at the Max Weber Center for Advanced Cultural and Social Studies in Erfurt. Besides social movements, he is dedicated to the philosophy of education, concepts of global learning, and progressive education. Annika Dittmann holds a Bachelor’s degree of Pedagogy from University of Bamberg and a Master’s degree of International Social Work from University of Applied Sciences Erfurt. Currently she is working with female underage refugees. Boitumelo Seepamore is a lecturer in the discipline of social work at the University of KwaZulu-Natal. She teaches community work and draws her experience from the community work projects she has undertaken in her work with the communities of Soweto in Johannesburg, and KwaZulu-Natal.